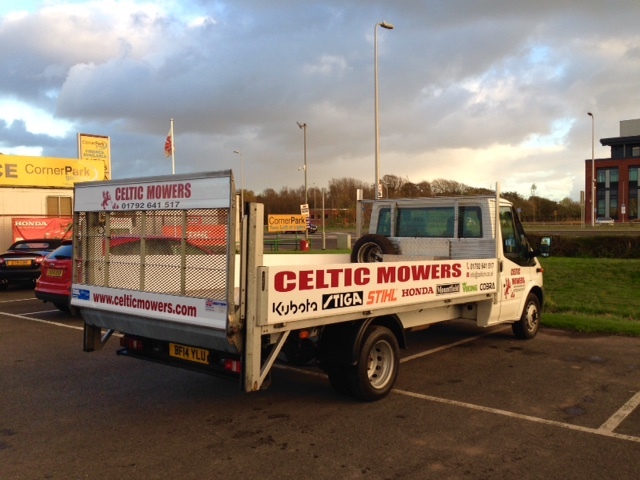 Here at Celtic we offer a full collection & delivery service for all our customers. Whether it's a chainsaw, brushcutter, electric or pedestrian lawn mower, ride on's or tractors we will collect & deliver your machine. We appreciate our customers are busy and we therefore offer a flexible service to fit in with your schedule. David Evans is our Transport & Logistics Manager and he ensures that all our customers machines are treated with the utmost care & attention. 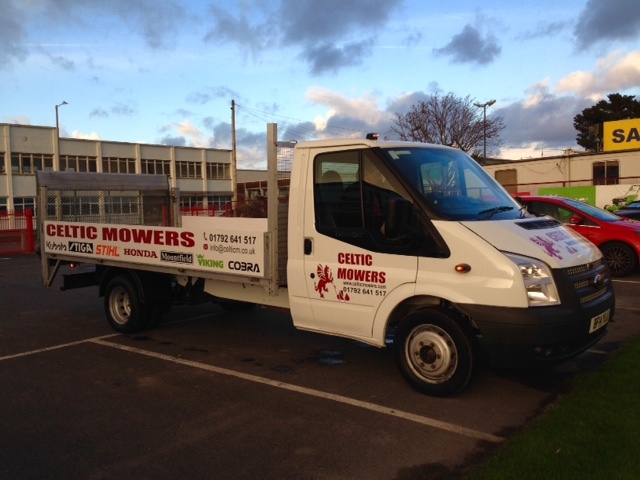 Our 14ft, flat bed Ford Transit (pictured below) is equipped with an electric tail-lift, ramps & a winch. This means that we can collect anything from a chainsaw to a compact tractor. We also have our Isuzu Rodeo, Pick-up (pictured below). This is ideal for the deliveries of smaller machines or where access at our customers is restricted. Also the pick-up together with our range of trailers gives us the added flexibility, meaning we can cater for the larger machines & tractors. Why struggle to get the machine into the car risking damage to both the machine and car, covering the boot in grass and dirt.